One of the things that Boxing Cat T-Shirt is trying to say is “the man who has no imagination has no wings” says Muhammad Ali’s thought of imagination. If you feel like a fighter and have a good imagination then you know what he means. Confronting with all difficulties in life and not ever giving up definitely makes us stronger and feel better! 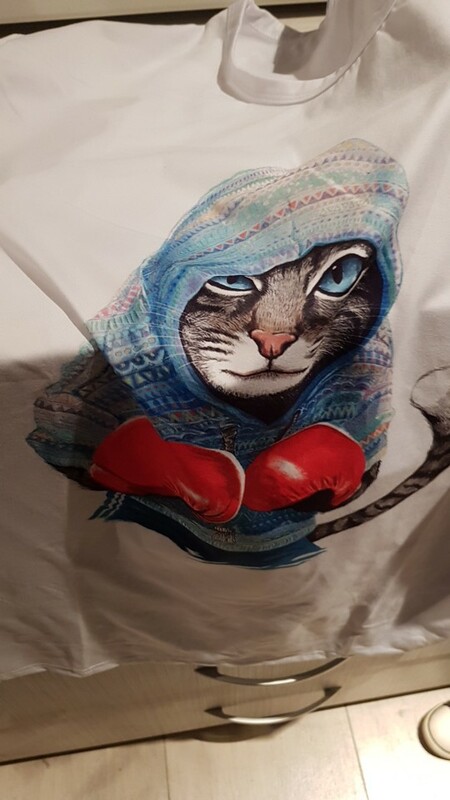 You’ll be feeling like a fighter and stronger with this strong Boxing Cat T-Shirt and carrying it’s power everywhere you go ! I just love this t-shirt, design is amazing and cute. I really like this tee, as it's exactly like in the picture provided by the store. The material is comfortable and stretchy, good for excercise. It is however a -little- bit too loose for my taste, but this is no big problem at all.